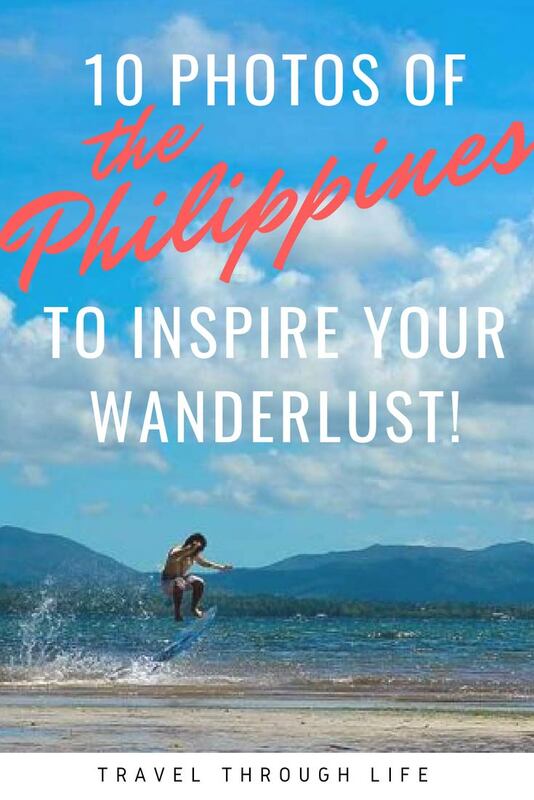 The Philippines are a gorgeous set of islands in Southeast Asia and one of our all-time favorite travel destinations. The whole archipelago deserves at least several months to explore and you’d still barely scratch the surface of it all. The people are kind and the landscape is incredible. 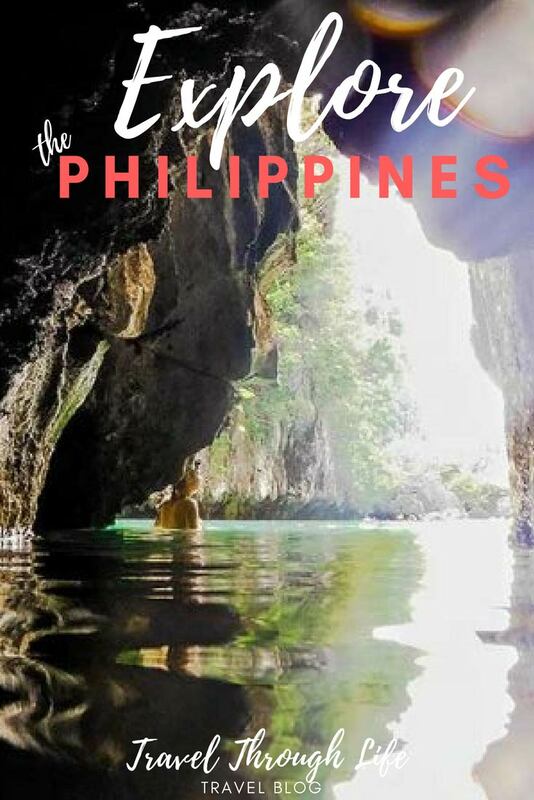 We decided to skip the touristy areas of Boracay and Cebu and tried to discover more of what The Philippines has to offer. We rode a motorbike around Bohol and went on boat tours off El Nido in Palawan. 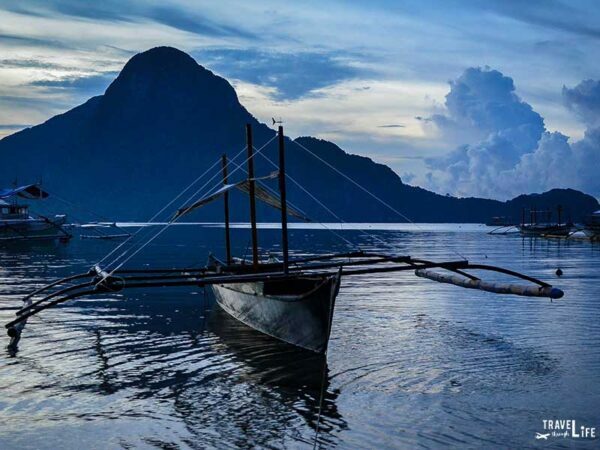 Hopefully, we’ll return but in the meantime, we’ll leave these 10 Philippines travel photos that will inspire your wanderlust, as they do for us. 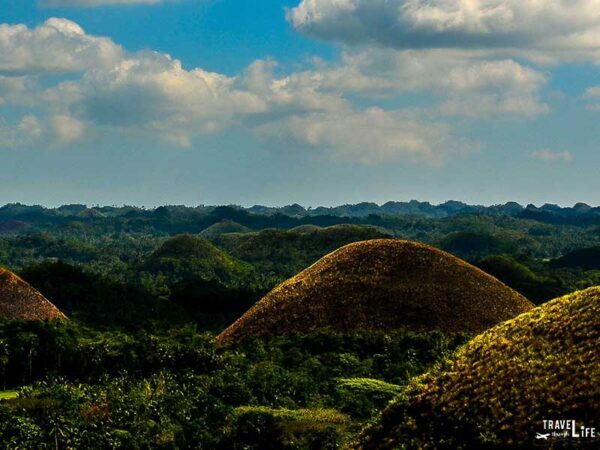 At least 1,260 of these Chocolate Hills live on the island of Bohol, making for an impressive view from the top! Seriously, they look that awesome in person. Go check them out! 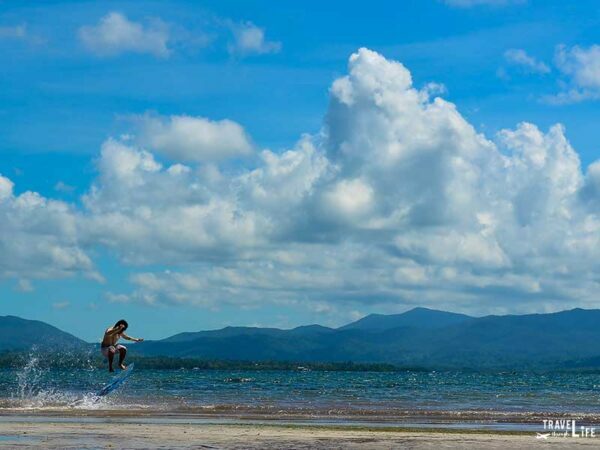 At the “locals only” Pristine Beach in Puerto Princessa (Palawan), you can get a real vibe of how they like to relax! The beaches are incredible. 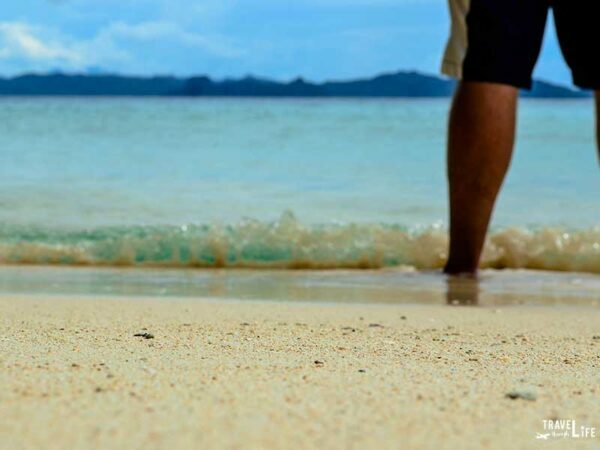 And with 7,641 islands, there sure are a lot of beaches in the Philippines! Of course, you don’t have to hang out by the water. 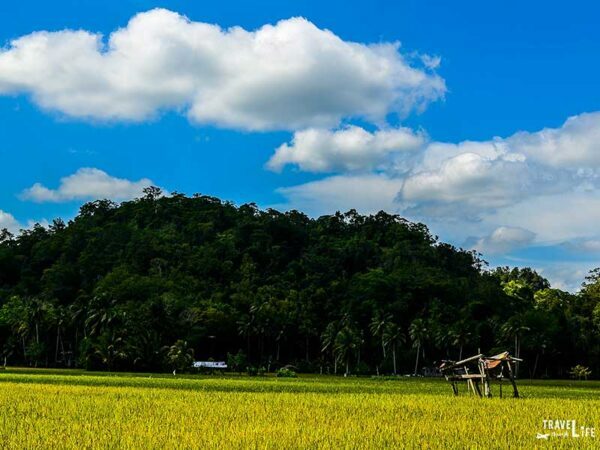 You can also stare into a rice paddy and get lost like we did when driving around Bohol. But yeah, it’s still pretty nice to swim into a cavern and ponder how far it goes. 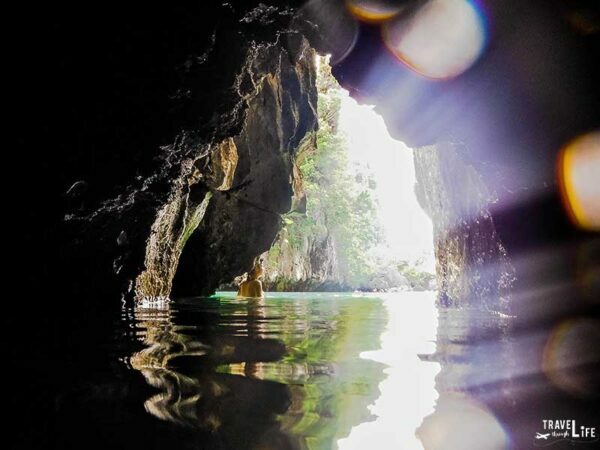 Hop on a fishing boat and sail around the islands, catching a glimpse of the limestone formations. 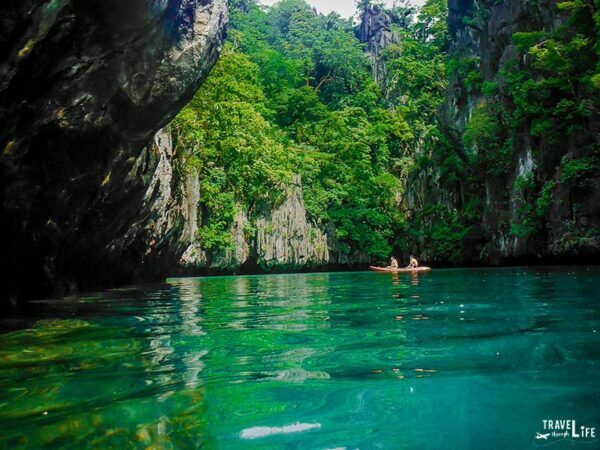 Swim the green waters via a boat tour like we did from El Nido (Palawan). 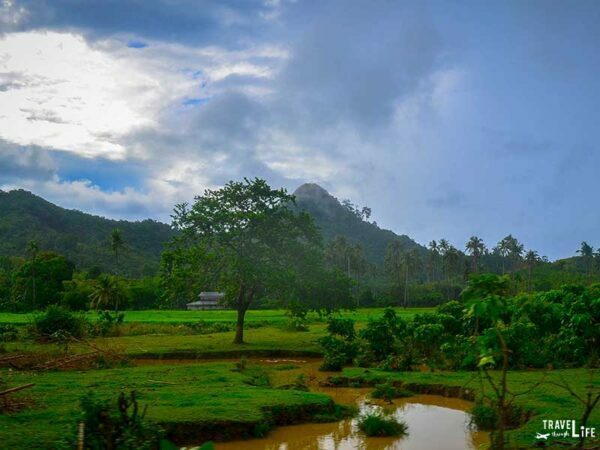 …or watch a rainstorm over the rice fields. 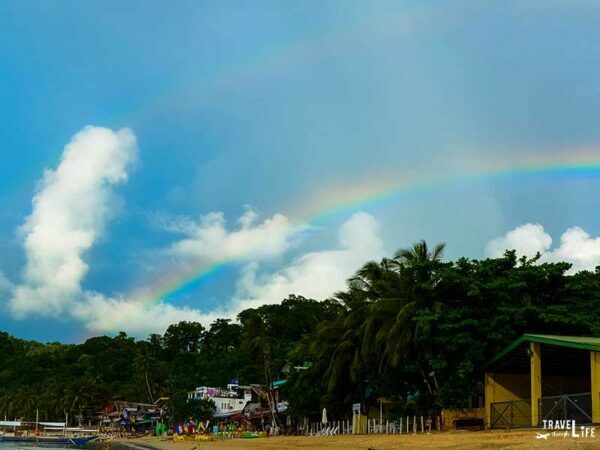 You’ll be sure to catch a rainbow! …and there’s always someone to play with! 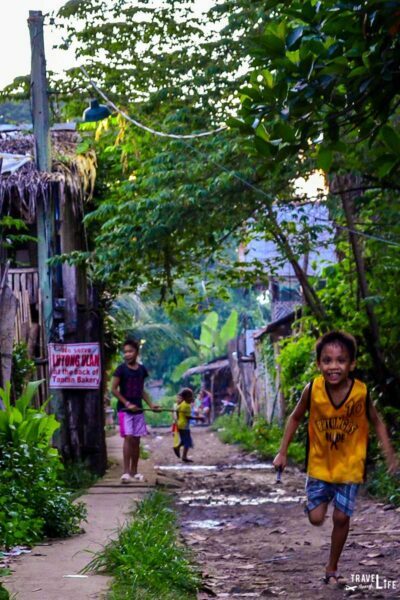 Seeing kids enjoy themselves like this reminds us that we’re not just in the Philippines to kick back. We’re also there to have fun! And that wraps up our short walk through one of our favorite places in Asia and the entire world. If you’ve never been, we hope you can make it someday soon! 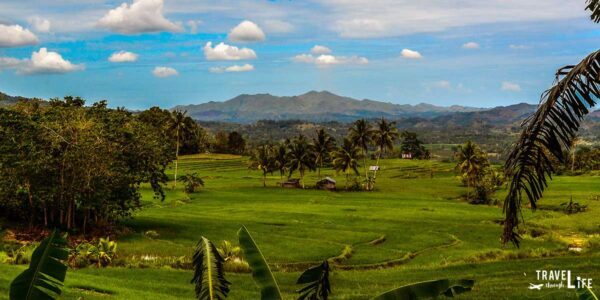 Of all the photos we shared, what would top your Philippines travel itinerary? If you’ve been to any of these places, we’d love to know what you thought of them!